Alayeluwa Oba Adedokun Omoniyi Abolarin, the Orangun of Oke-Ila, brings candour, elegance and passion to the throne of his forefathers. In the last 12 years of his reign as the Orangun of the ancient Igbomina-Yoruba kingdom, his preoccupation has been to uplift the social and economic status of his subjects. 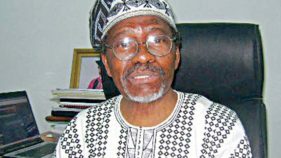 A highly educated professional holding a law degree, after a master’s degree in International Relations, following a Bachelor’s degree in Political Science all from Obafemi Awolowo University (formerly University of Ife), Abolarin’s passion for his subjects resonates in his recent social intervention initiatives, especially the Abolarin College in Oke-Ila where pupils are provided with free education, free accommodation and free feeding. The school is pan-Nigeria and the sole password to gain access is “poverty” – if you are an indigent child, your place is assured in the school. In this interview conducted in Oyo town during the international Conference on “the Alaafin in Yoruba History, Culture and Political Power Relations”, Oba Adedokun shares thoughts on the royal institution, culture and heritage preservation and community development among other issues. 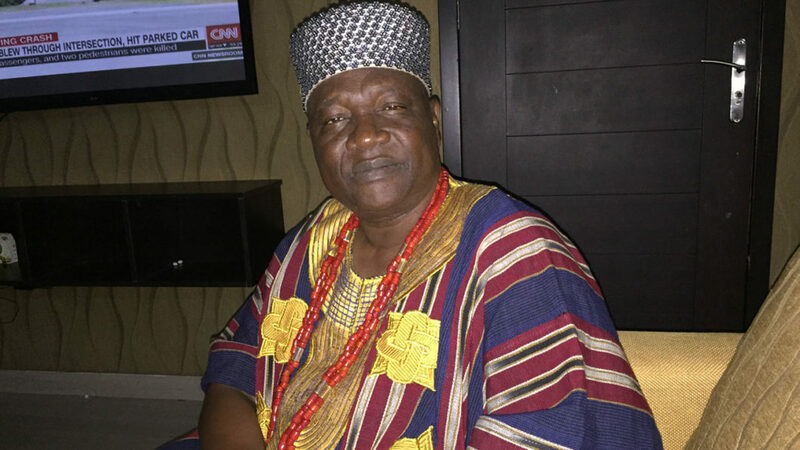 How has it been in the last 12 years as Orangun of Oke-Ila? Exciting and interesting! Exciting in the sense that I didn’t plan to be a king. So, adjusting to the life of a monarch has been tough. Then, living with people I never lived with before and understanding who exactly my people are is difficult and at the same time interesting. Then, I believe that followership needs to be worked upon. It’s very important. There is this discordant attitude on the part of our people now – believing that government alone must do everything. So, in terms of participation, our people are not actively participating in development. I think it’s because the society is not taking care of certain things that it’s supposed to be taking care of. They have to take care of their aged; it’s difficult. They have to pay their children’s school fees; it’s difficult. These are issues that, normally, the state ought to be interested in. So, mobilizing our people for development is a huge task for me, but exciting because development doesn’t have to be big, but development must start with the first step, and to the glory of God we have taken the first step; and it’s a gradual process; and we are on it; and with the Glory of God there is peace, and with peace you can get a lot of things done. It is exciting, when you see your children doing well and you’re happy. I’m fulfilling my role as a traditional ruler, bringing succour to the doorsteps of my people. How was that first step incubated? What does the future hold for the beneficiaries? You know completion of development might not be real, but the most important thing is to start. Chief Obafemi Awolowo started the developmental process in Western Region, but at a point in time there was a break in transmission. Let’s be futuristic. Where do we want to be in the next 50 years? I remember some of what the generation of my father did 50 years ago; they planned for the development of our today in terms of education, in terms of social development. Now, where do we want to take our people to in the next 50 years? For me, I believe the focus for me is through education, and that’s why I am so interested in improving the education of our people within that geographical context of the old Osun North-East. What really motivated that first step? Being a royal father, for me, is not to amass wealth. It’s not for personal aggrandizement. It is for us to take a peep into the future. Where do we want to take our people to? The first step must be taken. So the motivation is when we are no more, what are they going to say about us? The chroniclers of history – in my place, the talking drummers, the people, in the modern times, the journalists – are recording events. What are they going to say about us when we are gone? So, in terms of motivation, there is a day after the throne when the chroniclers of history are going to decimate and critically analyse our impact on the throne. There are some traditional rulers in Yoruba land who are unforgettable. The late Ooni of Ife, Oba Adesoji Aderemi, there is no way you can forget him; my father, Oba Okunade Sijuade; you can’t forget him; the late Olubadan of Ibadan Land, Oba Akinyele; the late Timi Adetoyese Laoye, you can’t forget them. The late Odemo of Isara, that great politician and nationalist. These are great men. It’s a great institution for the development of our people. I didn’t know this until I became a king. In Nigeria, in Yorubaland, because of who we are, we are cultured people; we believe in our old order of things, and at the same time we are republicans. So, it’s a mixture of republicanism and monarchy. You may say that they do not go hand-in-hand, but here it’s practicable and it’s a major institution for the development of our people. You have said that the royal institution is a major tool for development, but why is that the nation’s political leadership is not seeing that opportunity? Probably, they think that, yes we are in a republican state, and with monarchy you are saying that some people have an enhanced status than others; that’s not the principle of equality; you are saying that some are greater than others by birth. If you are a student of democracy, you would think that ‘No, it can’t be.’ But for who we are as a people, we take interest in our history, in where we are coming from. So, I think we can work together. But again I always tell the traditional class that we must live under the law. The constitution is supreme. Once you know that, despite being on the throne you cannot afford to infringe on the rights of others; you can’t do that. With education, there are certain things you cannot do; with education, people now know their rights, but at the same time people still want the existence of their traditional ruler. This is what I call, the natural legitimacy of monarchy. Our power is derivable from the fact that it’s a natural legitimising process that brought us to where we are, and we must always live above board. The monarch must live under the constitution, but there has also been agitation that the rule of the monarch, especially at the grassroots, must also be recognized under constitution. Why is it so difficult? For me, what we have in the constitution presently is okay. I’m okay with it. I’m not saying this as a traditional ruler; I’m saying it as a Nigerian. Yes, there are gaps. It’s not a thing that gets filled up overnight. It may take a hundred years or 200 years to fill the gaps. Through the legislative or judiciary process we get the gaps filled up. Some may be norms that you don’t even put in black and white. As a traditional ruler, I have the constitutional right to move everywhere I want to go to. I am presently in Oyo to attend a conference on the Alaafin. It’s my fundamental right that I am enjoying. That we are together now, talking, is my right within the ambit of the constitution. There are so many other things. If you take the American constitution, so many institutions were not included there. The civil service, even in congress, the seniority norm. Pick the American constitution (among) the people who drafted the constitution, the blacks were not there. In 1776, in 1775, in 1774, the blacks were mere chattels. They were a means of instrument. Can you imagine that their generations yet unborn then later became the President of America as manifested in Barrack Obama? I want the Nigerian constitution to be dynamic. I want it to be applicable for generations yet unborn. If you now start saying that all these things should be put down in black and white and if you don’t put it down in black and white, there is a problem. No! To me, we are plain. Nigeria is a republican state. Some people do not share the idea. But, over time, let’s just continue what we are doing, because constitutional development should be dynamic. It is not a thing you get done overnight. But, we, as a people, in terms of development, want to see the greatness of Nigeria, overnight. What format would you now suggest, especially for people agitating for restructuring, resource control, for devolution of power? That’s politics that I run away from. Since I became a King, I became apolitical. I have my views, but it is difficult for me to express my views because of my position. I am a father to everybody. You have those who believe that the status quo must be maintained. But the ultimate is, let’s continue to dialogue, through diplomacy, and believe in ourselves. We must believe in ourselves. I am not happy that Nigerians do not believe in Nigeria. We are a great people; despite the challenges we are facing. We are doing well, despite our challenges. Where we are is not where we ought to be, but we can do better. All hands must be on deck and think and prepare our young ones for leadership, which we are not doing at present. Preparing young ones for leadership and the Abolarin College in Oke-Ila, what message are you sending out? First, I need to acknowledge the Divine inspiration that manifested in the establishment of the school, four years ago, September 2014, precisely. Today, we have 114 students from all over Nigeria. My son, John Chigozie is from Ebonyi State, but they live around us in Oke-Ila. The Senior Prefect of the school, Gabriel Eronsi is a Niger Deltan. To the glory of God, I have two children from Benue State. They are Igede. We are trying to use the school to promote unity in Nigeria. We must live as one. 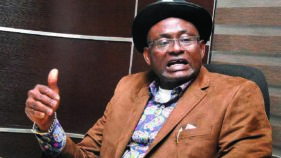 If a Niger Deltan lives with me – a good boy, a senior prefect, a leader – why won’t the Niger Delta, from Delta to Bayelsa, not protect the interest of Yorubas and other nationalities within the Nigerian state. Humanity is one. We should not continue to decimate ourselves based on our ethnic origin. That’s what we are trying to promote in our school. And you must have heard, the school is strictly for the rural poor, and to the glory of God we don’t collect a dime from them. And the Lord is helping us. When I ask my school students ‘who is paying your school fees?’ they say, it’s God paying their school fees. They work hard. They are creative. They work on the farm. They clean their clothes. We want them to be creative. We want them to be useful, great leaders of the future. As a people we are not seriously thinking of our future. We only celebrate the present. We should celebrate our brightest and best – the past, like we are presently doing in Oyo for Alaafin Lamidi Olayiwola’s 80th birthday. It is human beings that can grow development. Human beings of the past have done theirs. We should not totally cast negative opinion on them. I asked few of my children and showed them the picture of Baba Sala and said, ‘Do you know this man?’ after his demise? They said, ‘No.’ They had never heard of who Baba Sala was. I was sad. Our fault! Because we are immediate people, we don’t celebrate our achievement. We don’t celebrate the past. We believe only in today. With due respect, you are not growing younger. How many of the past journalists of the 70s and the 80s can you remember now? In other words, you are saying that in the next 10 years you would be forgotten. That’s who we are. We are immediate people, which is not good for the system. We must learn to celebrate the past. A lot of our young journalists don’t know who Earnest Ikoli, S. A. Akinsanya were. Tai Solarin was a fantastic writer and a foremost proprietor of a great school, MAYFLOWER School, Ikenne. Before he became Governor of Ogun State, Onabanjo was a great journalist. Ditto Chief Bola Ige, a lawyer and a great writer. Alhaji Saka Fagbo, a broadcaster, Engr Vincent Olu Maduka, the 1st DG of NTA. How many people can remember Alhaji Babatunde Jose? 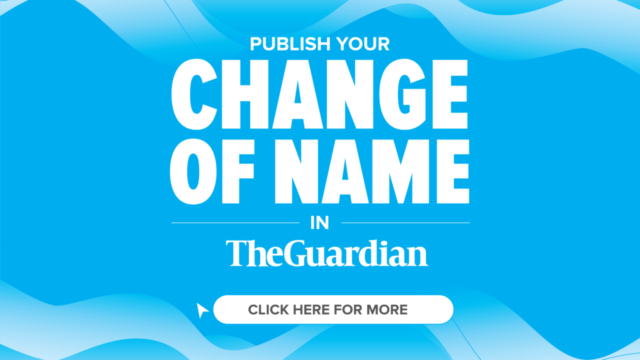 Not to talk about the history of The Guardian. The actors that drew the plot to establish the newspaper that time. The great cartoonist then, Bisi Ogunbadejo, Ebun Aleshinloye. We have many before them. Not to talk of the rural people. There are talents in the rural community. Brilliant souls that are just loitering the streets and can become a likely problem to the larger society. I believe the government cannot do it alone. We all must put our hands on deck. What role can history play in this linking the past with the present? That’s why history is important. History should be a compulsory subject in all our schools. It should be an interdisciplinary thing. 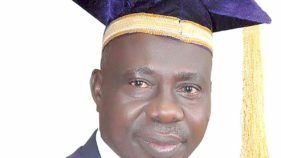 History of Chemistry in Nigeria, the first graduate of Chemistry in Nigeria. It could be pictorial. Artists can do that for us. History covers everything. The history of the University of Ibadan; the history of the Obafemi Awolowo University; the history of the founding fathers of the Western Region; the founding fathers of the Eastern Region; the founding fathers of the Northern Region. Are you saying that we don’t have those courses in political science? Is it meant for political science alone? Is it meant for only students of history? How many people even study history? 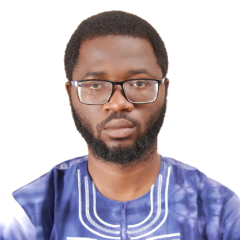 That’s why the keynote speech of Professor Toyin Falola – Kingship Studies – is important. If I were given the opportunity to study Kingship, then maybe when I became a king I wouldn’t have been scared. Yeah! I didn’t like it. I didn’t go to school to be a king. I wasn’t happy to be a king. The day the crown got to my head was the saddest day of my life. I left all to be on the throne, and that’s what life is all about – you must be able to make a sacrifice for the good of others – and that’s why I always give thanks to God that I am on the throne, instead of enjoying alone with my children. Yes, my children they suffer, but for the good of others. I pray that history would adequately reward them for being part of the sacrifice at the larger level. Are you still the Chairman of Osun State Arts Council? What kind of influence did you exert while you were there? I did my best. It was just for a year. We were able to discover raw talents – good carvers. We are a talented people, but we do not believe in who we are and that’s why, to a large extent, we are suffering. I always use page 66 of Awolowo’s autobiography, AWO. His principal at the Wesley’s College, the Reverend Nightingale, was always admonishing them to take interest in everything Nigeria. They didn’t like it. But now, looking back, there are certain aspects of life which are immensely admirable and worthy of emulation especially by those who aspire to positions of leadership in any sphere of life. I think it’s an extremely useful experience that a young person should be made to do for himself certain mental and domestic jobs, which, though distasteful, other people had never been called upon to do from time to time. That’s what we do in our school. At Wesley’s College, the day-to-day activity imbues every student with a sense of humility and inculcates in them a belief in the dignity of all forms of legitimate labour. Until we now look inward and see the beauty in our environment, we may not get there. People go to South Africa and celebrate weddings. People go to Malawi to celebrate weddings. You can come to Oke-Ila Orangun to celebrate weddings, there is no way people won’t admire the environment, but we don’t do it because we don’t believe in ourselves. We believe until we go to Ghana, until we go to Dubai, until we go to America, until we wear suits, whereas what you are wearing is the best. Anytime I travel outside Nigeria, Oyinbos admire what I wear. It is patriotism to celebrate and preserve your culture. Love for the motherland is important. I love the environment. I love my people. I didn’t know how to speak the dialect fluently until I became the king. I do tell the children in my school, you must speak Igbomina language and embrace the dressing culture. That’s what the traditional institutions represent. The official language in the classrooms and in the dining rooms is English, but in the college compound you could speak any language you like so long as you are understood. It’s a duty that we owe. It is Nigeria first. Our people are suffering; there is poverty everywhere. We should be nationalistic. Look at your Fila (cap), look at the style. It is artistic. That’s who we are. In what way is the council of traditional rulers helping to propagate these ideals? It all depends on the way each state sees all these things. But again, look at the beautiful programmes our people are experiencing now? It’s just to arouse our consciousness. We should not forget who we are, and things that are not right in the 21st century we should moderate. Culture is not static, culture is dynamic. I have seen the beauty in my culture. It is my culture that led me to the establishment of the Centre for the Aged. How do we galvanize royal institution structure and the political structure to serve our people better? That’s why it’s important for the political class and the traditional class to have a meeting point, and the elite. It’s a function of the elite, not the political class alone. The Nigerian elite. It’s a self-serving elite- the intelligentsia, the business class, the professional class, the political class. There should always be a meeting point. Where do we want Nigeria to be in the next 50 years? How do we reduce the level of poverty? How do we make sure that for the sake of our children we make life better for the poor? Because it is in our interest, it’s an enlightened self-interest. We spend humongous amount of money educating our children all over the world. It’s sad that many of them are no longer in Nigeria. Sociologically, very many of us are not happy, because we are lonely. I just pray that it is not the biblical thing that is affecting us, because in the Book of Proverbs 22 :22 to 23, it states ‘do not rob the poor. Nor the afflicted at the gate, for I, the LORD, would plead their cause and plunder those who plunder them.’ I pray that that is not what is happening to us in Nigeria, because the LORD is answering the calls of the poor. So, I am advocating that we should address the plight of the poor. It is an enlightened self-interest. Through what platform? National Conference? No! I mean, you do the right thing. You don’t lead a corrupt life. You don’t plan for your biological children alone. What you spent N10 on years ago, you now spend N10, 000 to get the same value nowadays. You know that you are plundering the soul of the poor. It is not proper to acquire things that our own children are not likely to enjoy. So, the fruit of our labour would come to naught!